Studer Broadcast Academy Rolls On With Dates in New York and Washington D.C.
NEW YORK, New York – The New York City Center is one of the nation’s most renowned venues, host to the Alvin Ailey American Dance Theater, the American Ballet Theatre and a year-round program of concerts, theatrical performances and other events. 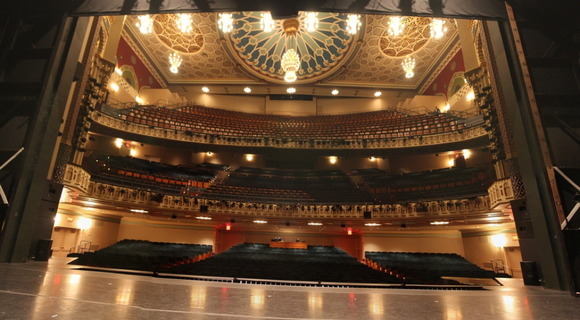 Beginning in May 2010, the New York City Center embarked on a full-scale, $57 million renovation project that encompassed a complete redesign of the facility and the main auditorium, with a HARMAN Studer Vista 5 42-fader digital mixing console at the heart of the completely upgraded audio system. “The auditorium was redone from the ground up—literally, as a new, sprung stage floor was installed,” said Augie J. Propersi, Audio Engineer at the New York City Theater, who did the audio system design in association with New York’s Scott Lehrer Sound Design. Ennead Architects LLP was contracted for the architectural design, with infrastructure consulting by performing arts facilities design specialists Auerbach Pollock Friedlander and acoustic consulting by Kirkegaard Associates. The IATSE (International Alliance of Theatrical Stage Employees) Local 1 performed the equipment installation and cabling, with the IBEW (International Brotherhood of Electrical Workers) Local 3 providing the electrical wiring.